The upcoming NAB New York event is going to be one busy venue, as a variety of activities by hundreds of companies will be taking center stage at the Javits Convention Center. Two firms involved in broadcast video origination, distribution and content monitoring have announced a strategic partnership and a product combo demo for the show—Crystal and Actus. The combination of the latter's Digital’s media intelligence platforms for broadcast recording and storage and the former's Insight™ for video metadata insertion and validation create a powerful network monitoring and management solution, ensuring quality and efficiency throughout the entire media lifecycle from creation to distribution. These two companies will be co-exhibiting and demonstrating a range of solutions for operational efficiency and intelligence. Crystal, known for their monitoring of video contribution, play out, encoding, and distribution, ensures content flows to the correct place at the correct time. Actus Digital makes certain that the video has been delivered, recorded and monitored for accuracy and compliance. Crystal will also be demo'ing the SCTE-104 insertion and validation capability of Crystal Insight™ to generate frame-accurate SCTE-35 markers in order for Linear to OTT and Live to VOD processes to be automated. Similarly, Actus will be exhibiting easy-to-use video clip functionality to support broadcast network’s social media promotions. According to Roger Franklin, the CEO at Crystal, broadcasters are facing ever increasing pressure to validate the distribution of the content to the right platform at the right time and there is no room for error. The combination of these solutions with those from Actus Digital will give the firm's mutual clients an overview of the entire media lifecycle. 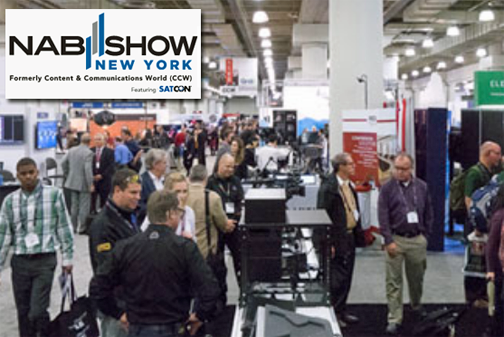 Actus Digital and Crystal will be exhibiting in booth #425 at NAB Show New York from November 9th to 10th.